After a three-month selection process involving 44 delegations worldwide, a shortlist of 12 designers will be invited to the Pelota in Milan for the REMIX 2015 grand finale on 4th March where the final judging will take place based on a runway presentation. Each designer will show three looks that include fur garments and accessories as well as other non-fur items so that fur is seen in a holistic, natural context. Franca Sozzani, editor-in-chief at Vogue Italia will act as president of the jury. Serving on the jury are Sara Maino, senior editor, Vogue Italian and head of Vogue Talents as well as other influential fashion writers, designers and high profile bloggers. We are delighted to have secured involvement from Vogue Italia for the second year running. The quality of young talent showcased at REMIX year after year is extraordinary and simply keeps on getting better as participants push the boundaries and re-invent this most versatile of materials. The fact that Vogue Italia has recognised this and continues to extend its support is the highest accolade any of us could hope to achieve. Knowing that any winning designs will feature in Vogue Italia is also wonderful encouragement to all our REMIX entrants and guarantees they will all be playing at the top of their game. Since its inception in 2003, REMIX has inspired, encouraged and supported more than 500 talented individuals, some of whom have started careers with leading international brands. Alexander Kantz, the winner of the 2012 edition, is currently working with the Swedish giant H&M, Lucy Upsher has worked for Roberto Cavalli, Bud Adji is a designer for Hugo Boss knitwear and Sally Bohan collaborates with Abercrombie & Fitch. 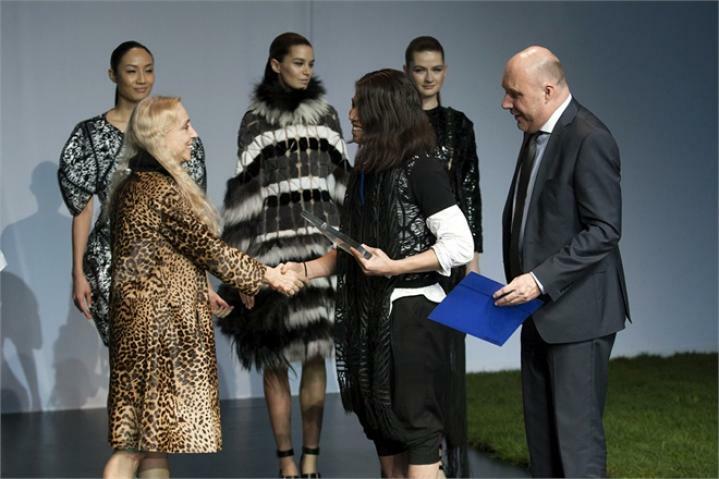 REMIX 2015 is an important initiative that allows us to regenerate interest in fur as an important fashion trend and to promote creativity in fur design now and into the future. It also affords us a brilliant opportunity to challenge people’s pre-conceptions about what fur is and how it can be used. It can come in every colour under the sun and techniques that mix it with leather, silk and other fabrics mean it can be worn in every season. We look forward to all of our members joining and supporting Remix 2015 again this year and we look forward to hosting you in Milan on 4th of March.